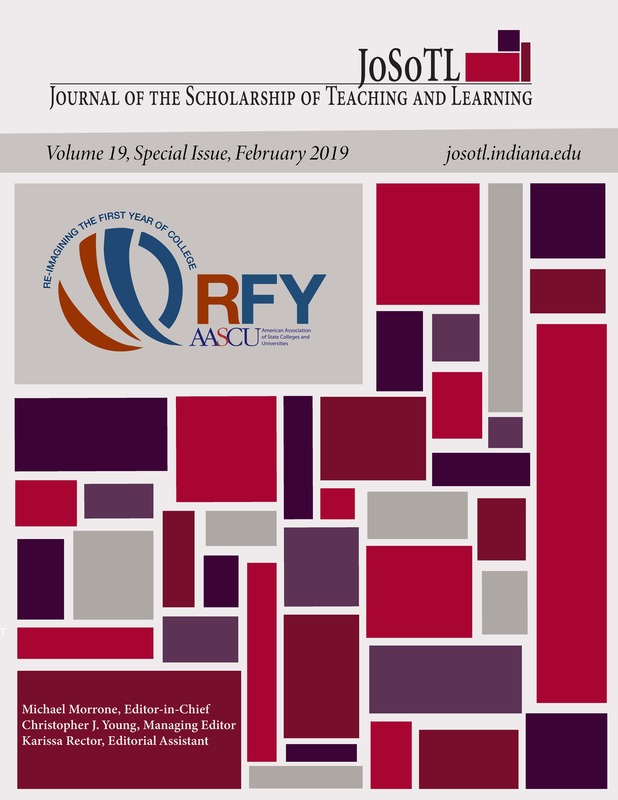 This special issue of the Journal of the Scholarship of Teaching and Learning seeks to highlight lessons learned from the Re-imagining the First Year (RFY) initiative carried out by the Association of American State Colleges and Universities (AASCU). RFY involved forty-four institutions across the United States. As George Mehaffy makes clear during his inspirational talks at the bi-annual meetings of AASCU, once institutions accept a student into their academic world, they are responsible for the success of that student. No matter the level of preparedness of a particular student, if you invite the individual to begin taking classes, you have or ought to have committed your institution to seeing that student through to graduation. Moreover, the types of students who attend AASCU-member institutions, particular those involved in the RFY initiative, represent, quite literally, the future of America. George Mehaffy and the association that he represents, reminds us of the importance of our daily work for the individual lives of our students as well as for the future of American life. We are pleased to have had the opportunity to collaborate on this special issue with George Mehaffy and Jo Arney. We thank Cynthia O’Dell for enthusiastically supporting the idea of a JoSoTL-AASCU special issue focusing on RFY. Moreover, we are grateful that Bill McKinney agreed to write the foreword. The ten essays included in this volume represent eight of the forty-four institutions. Together they represent a commitment to student success and to the mission of higher education in the United States.